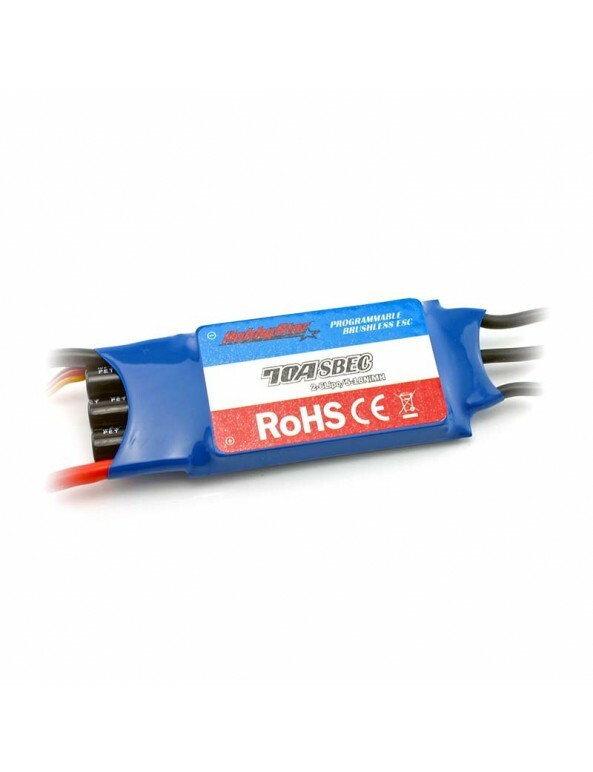 HobbyStar aircraft ESC's are deisgned to deliver reliable power at an affordable price-point. High grade components deliver extremely low internal resistances to maximize efficiency, reduce operating temps and deliver the maximum power to your aircraft. 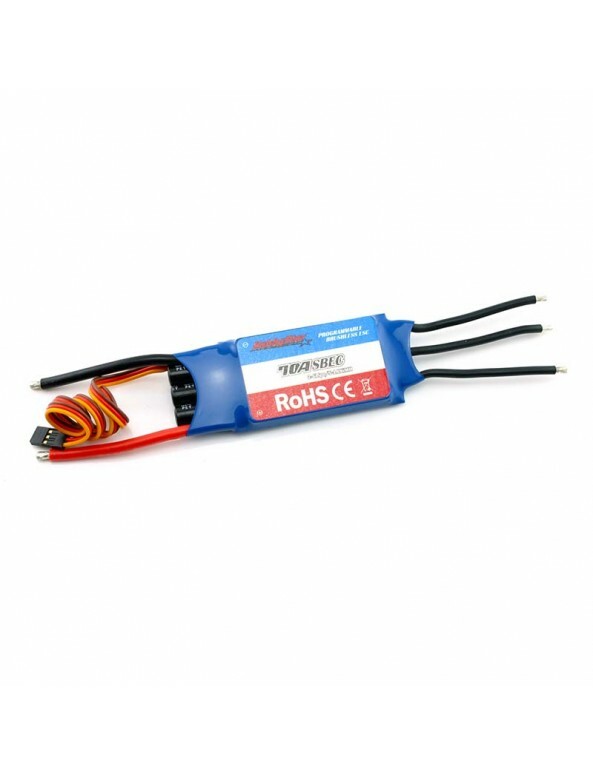 A full-featured ESC that can be used out of the box with simple calibration, yet also contain multiple adjustable parameters to dial in to your specific application. Program using your transmitter or quickly make changes using the optional program card. 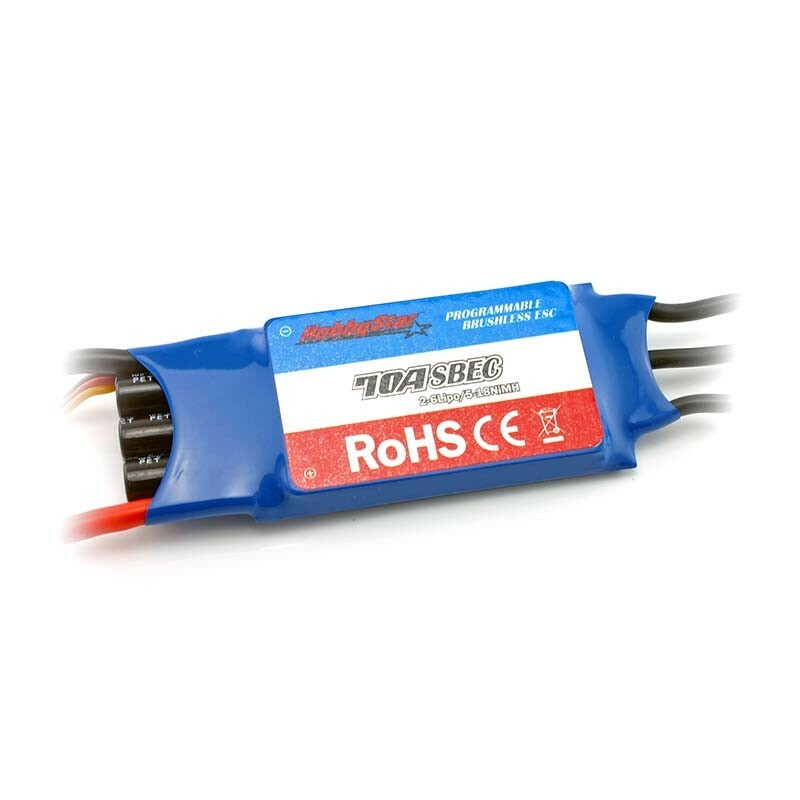 Built-in BEC for supplying your receiver and servos without the need for a separate battery.